Characters that achieved level 100 can be changed to a totally new character through Ataraxia. Appearance is not the only thing that changes. Virtually everything changes including skills and stats. 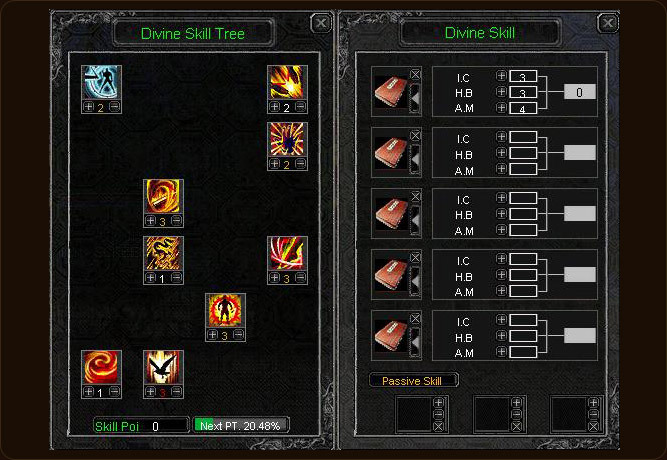 When a character becomes higher than 10 Dan 1 Kyu, New skills are added to the existing skills. 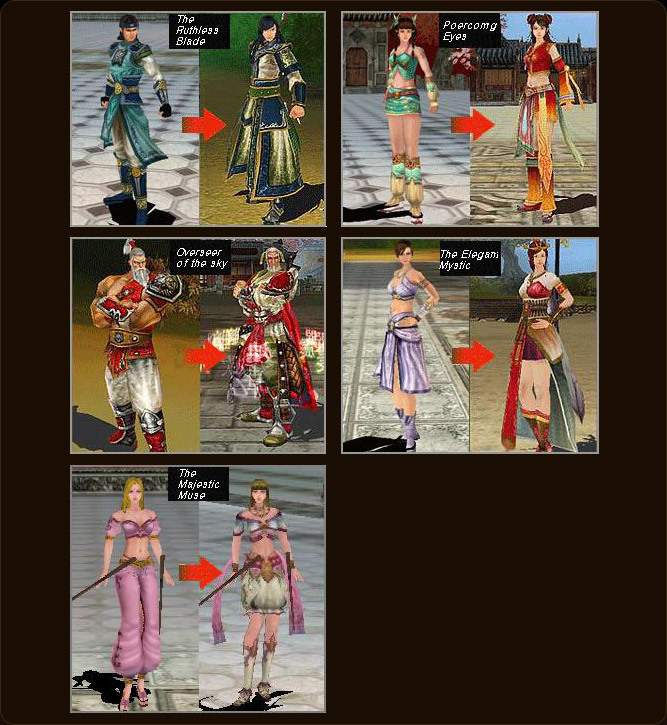 After reaching Divine 1 Dan, character improves again, and even new abilities are added. 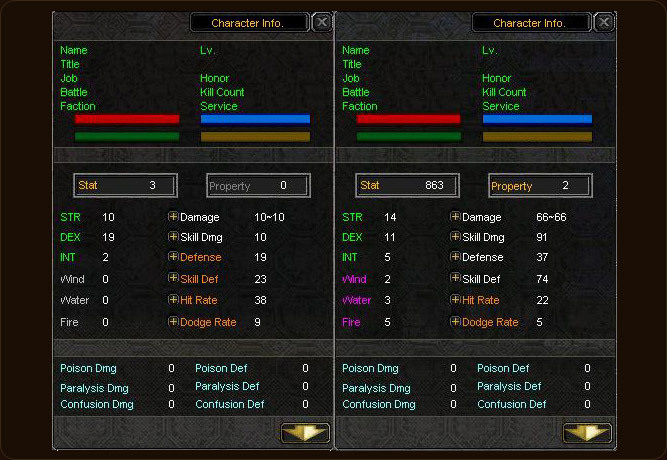 After Ataraxia, elemental status will be added, including wind, water, fire..
New skills are added. Also, players will be able to “choose” the skills they want to train more in, because it shows skills in skill tress. 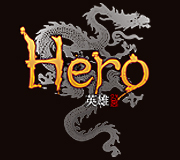 After Ataraxia, characters will also get unique job skills. With the new job skills, unique items can be produced. Also, new status ailment skills, and also skills that disable the ailment skills is added, so players can change their characters in a more strategic way. Cleanses status ailments that affect self or party members. Disables skills added to the opponent’s short cut key for a while. Kicks target out of the area. Immobilizes self and others in range.